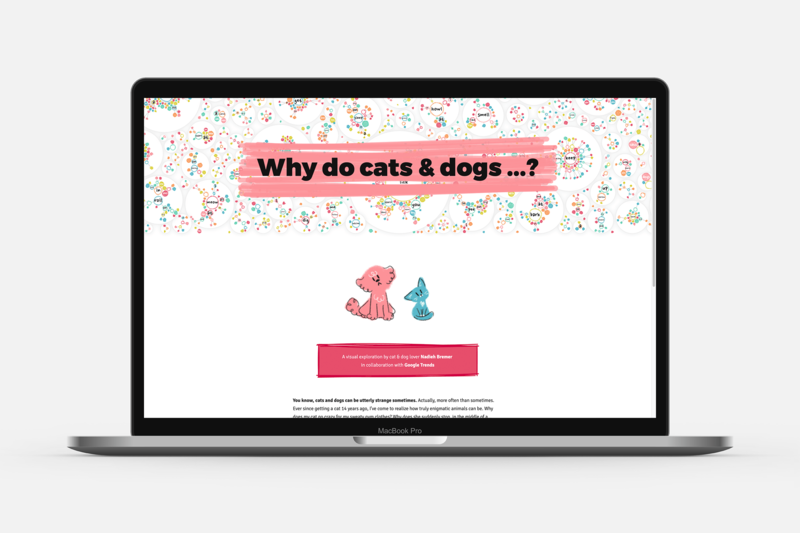 In Why do cats & dogs …? 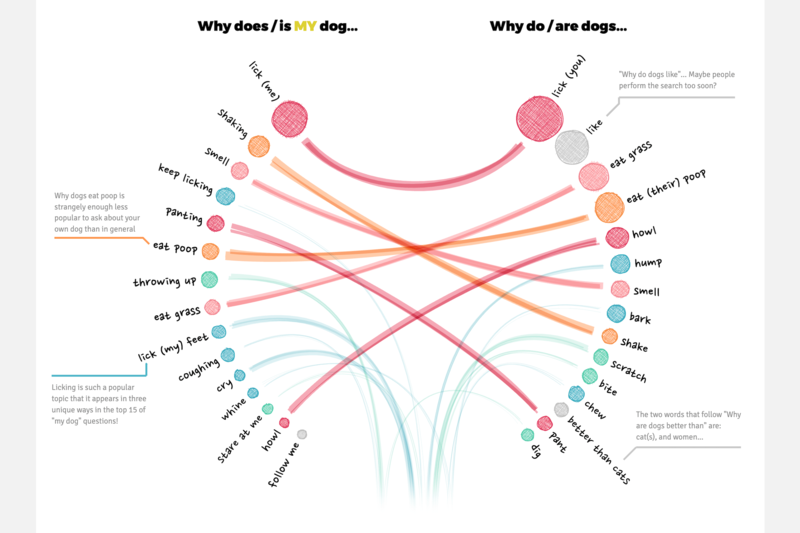 the viewer can explore the most popular questions asked on Google that start with “why does/are/is my/a cat(s)/dog(s)”. What do people most want to know about these two pets? What “strange” behavior is asked so often that it appears to actually be quite normal behavior perhaps. What’s up with cats and cucumbers, while dogs have a fascination with poop. 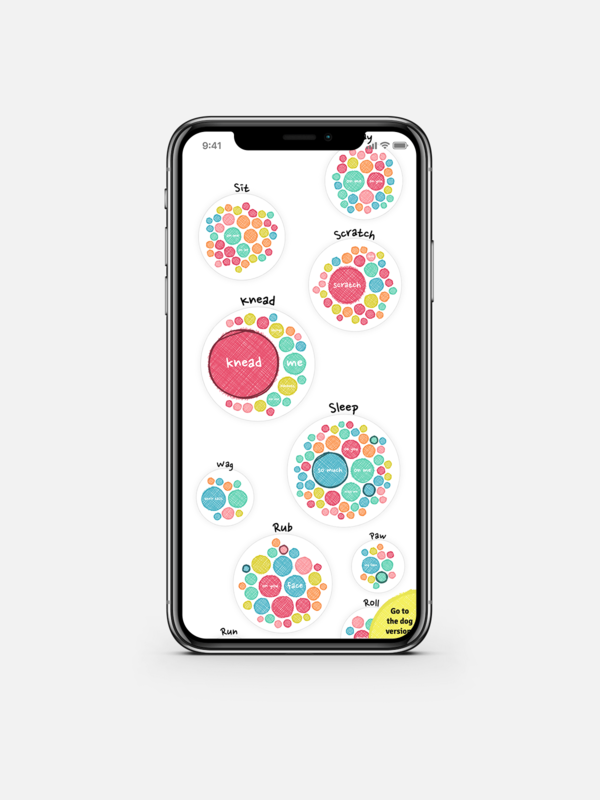 This dataviz-driven exploration takes you through the most interesting and funny insights found in the data in several highly interactive visuals that work well on both desktop and mobile sizes. After a fun first collaboration in 2017 with Beautiful in English, I was very pleased when Google asked me to come up with ideas for another project. 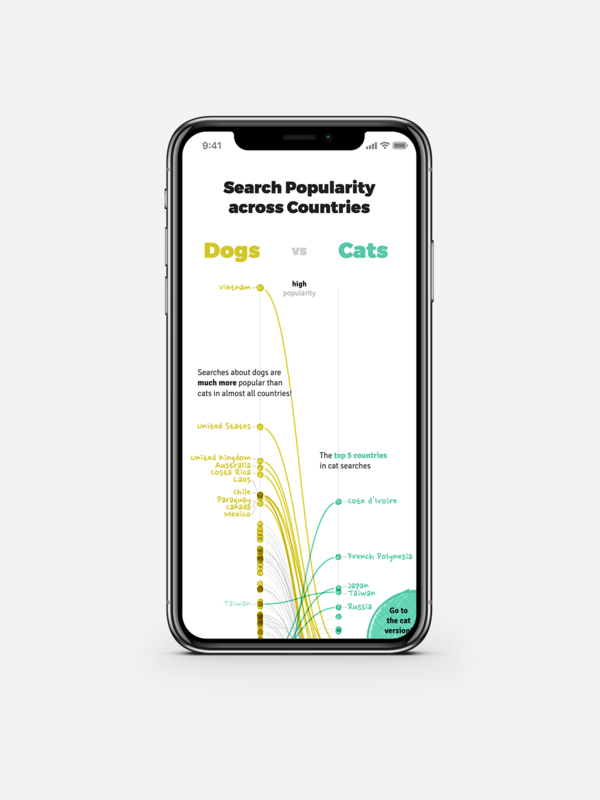 Being an animal lover myself the topic of pets and how people might search for them was high on my list of eventual ideas and Google agreed that it would be interesting to investigate. 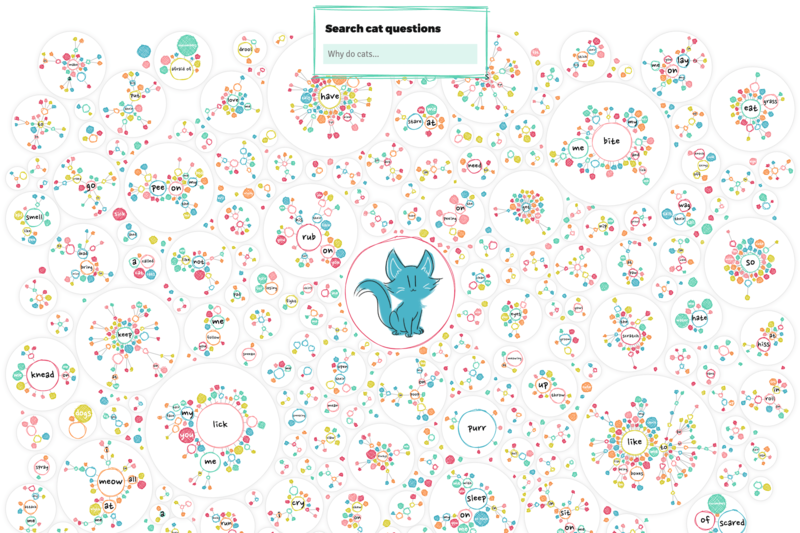 I specifically wanted to focus on people searching to understand their pets behavior, eventually resulting in a list of the ~4400 most popular questions that start with “why does/are/is my/a cat(s)/dog(s)”. 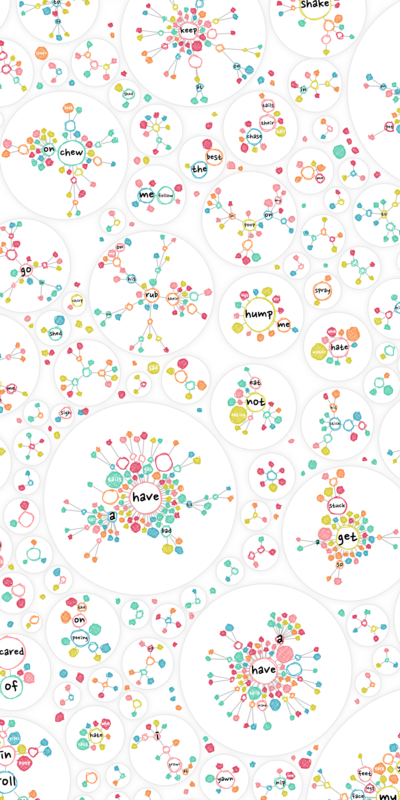 I converted these sentences into two very large “sentence trees” using R, which made it easy to explore what general topics were most popular. 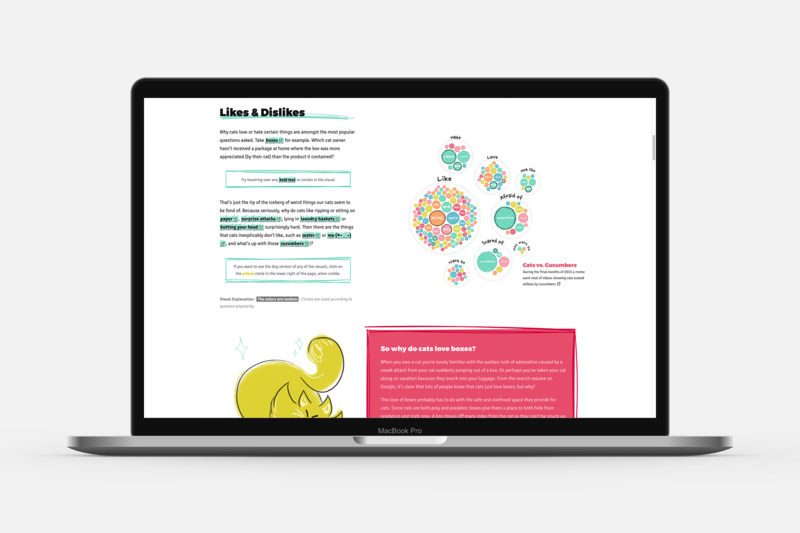 The page starts with a more gentle introduction to the data, focusing on the four most common topics found in the questions, after which people are given the opportunity to dive into all ~2200 questions freely (per animal). Next, I compare the difference between the actual most asked questions in general and questions that include the word “my”. 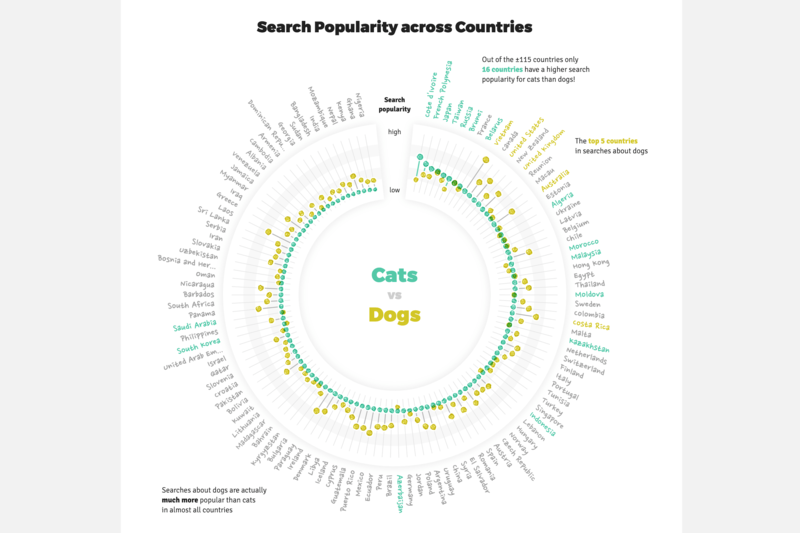 Finally the page ends by looking into the general search popularity of cats and dogs together. 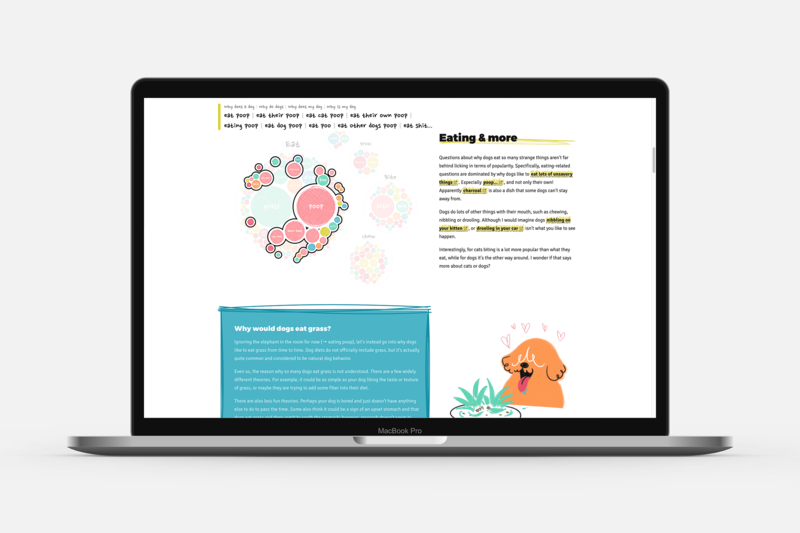 Initially the cat and dog deep dives would all be on one page, but there were so many interesting insights to be found in this dataset that I kept on creating more and more visuals. At some point it became obvious that the page had to be split, and a general intro page added. The wonderful animations were created by Juliana Chen. 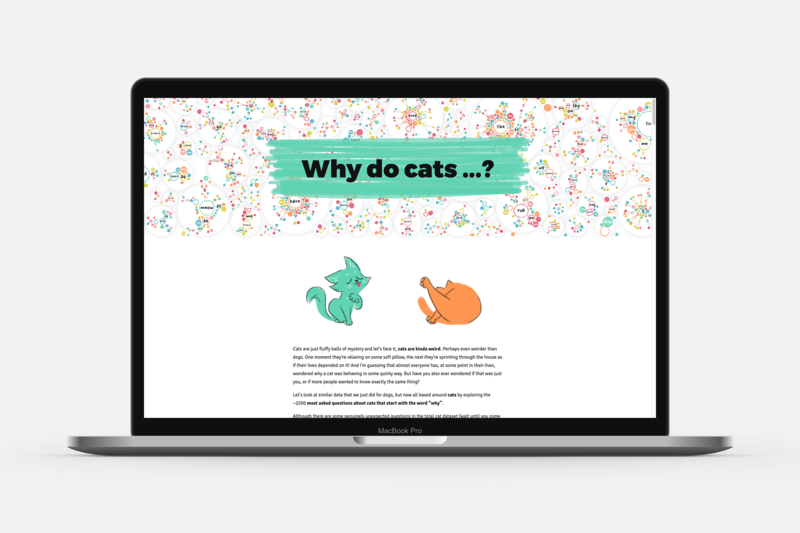 You can read a very extensive write-up on the entire design and creation process in my blog.